If you’re looking for the cheapest inspector you can stop here; there are hundreds of inspection companies willing to work cheap. That just tells us they don’t believe their services are worth the extra cost. If you don’t care about the realtor/inspector relationship, stop here. Our clients are worth more to us than repeat business from any realtor. If you choose us, realtors may try to talk you into using someone else, they prefer. Prices are based on the size of home, square feet, age, number of floors, vacant or occupied, and amenities such as pools, spas, seawall, location, and city. Order online for a quote. Our services far exceed industry standards and you will be surprised how thorough our inspections are. Go to our Client Testimonials and see how satisfied our clients are. We take payment at the time of inspection. Personal Check or Cash is acceptable, we also take American Express, Visa or Master Card. A 5% processing fee will apply when using a credit card. We offer a free consultation to evaluate your plans, specifications and construction budget. Packages can be broken up depending on your budget and current construction phase. Order online for a quote. Video Production is an extra fee, due to additional time at the site and office editing. DO NOT HIRE AN INSPECTOR BASED ON PRICE ALONE! Above all do your homework, compare what each certified/licensed inspector has to offer. This is one of the most important investments you will make. Protect it! Are you willing to take a chance on hiring an un-certified, or unlicensed or unqualified inspector based on price? Is it worth risking your investment over a few hundred dollars? We work for you not real estate agents! Don’t take a chance by making the wrong choice. Don’t wait until you’re in the building to find out if you chose an unqualified inspector? Just because they call themselves qualified and certified does not make them good inspectors. 2. How much does a mold inspection cost? Because each mold case varies in degree we need to hear your individual circumstance or story in order to provide a fair price quote. Please call us for a quote. Watch out for companies that give you a cheap price up front and then hit you with additional testing fees and remediation costs once their foot is in the door. 3. Do you give cost estimates for repairs in your report? Of course we do. Suncoast Inspections was the first company to do so and has been including cost estimates in our reports since 1992. 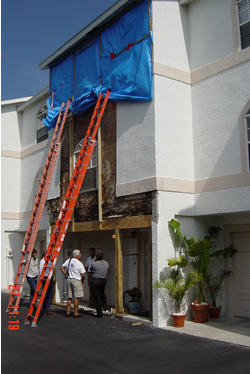 Up until recently we were the only inspection firm in the Tampa Bay area that was willing to do so. At Suncoast Inspections we feel it is our duty to stay on top of the latest construction material and labor costs to serve our clients better and to raise the bar of inspection standards. Some companies are afraid to, others don’t want to risk losing the real estate agents business. Remember, we work for you! 4. What do I receive at the end of the inspection process? A computer generated 13 to 20 page report with repair cost estimates is issued within 24 to 48 hours depending on our current work load. Commercial reports issued based on size of the structure. If you are present we will we review our findings. No other inspection firm will provide cost estimates, it offends realtors. Sample reports are not given out. If you have purchased the video ($250.00 additional cost) it will typically take 2 weeks. 5. Are you qualified to serve as an expert witness in a litigation case? Yes, ASHI, FABI, Level 1 Thermographer accreditations are recognized in a court of law as expert qualifications. SI.com has assisted clients as an expert witness on several occasions. Wouldn’t you rather hire an inspector with legal experience should you happen to go down that road? 7. How long do your inspections take? 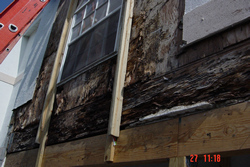 The average inspection takes 2.0 to 4.0 hours depending on services contracted and the condition of the dwelling. 8. How long in advance do you need to be scheduled? Inspections are taken on a first come first serve basis. 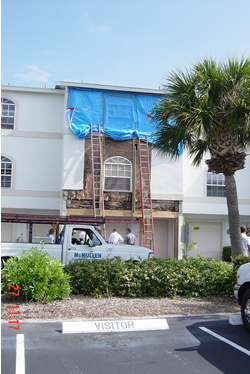 We typically schedule inspections 2 to 14 days in advance depending on our work load. 9. How will I receive my reports? Depending on the size and condition of the dwelling, typically within 48 hours of the inspection, it will be sent directly to you via email. 10. Will you talk to my builder on my behalf? We represent our clients and will be more than happy to deal directly with your builder. We are your advisor and advocate. We have on several occasions assisted our clients in mediation with their builder. This saves you attorney fees and keeps you out of the court room. 11. How often will you send New Construction reports? Reports are issued at each phase of construction. Follow-up reports are issued as items are corrected. See Construction page. 12. Do you have references? A list of customer references is provided upon request. Visit our client testimonials here and see how satisfied our clients are. 13. 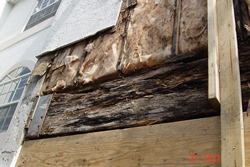 I'm purchasing a condominium, should the common exterior surface and roof be inspected? Yes. With the exception of high rise structures (buildings in excess of five stories) it is highly recommended that the exterior be walked and viewed from ground level. BELIEVE IT OR NOT YOU CAN SEE A LOT. Even though the exterior and roof are common areas maintained by the HOA (Homeowners Condominium Association) it is made up of homeowners, people like you. If there are issues, you end up paying for them. 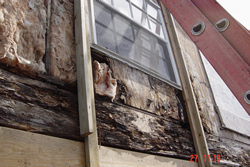 Townhouse, Villa, and Condominium exteriors are inspected.